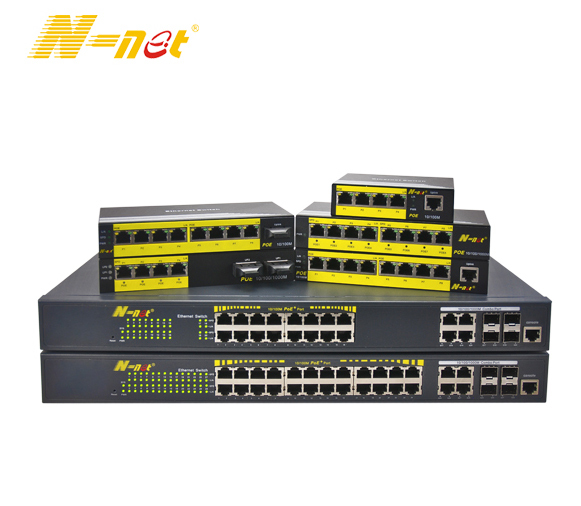 Product categories of Media Converter, we are specialized manufacturers from China, Media Converter, Fiber Converter suppliers/factory, wholesale high-quality products of Ethernet Converter R & D and manufacturing, we have the perfect after-sales service and technical support. Look forward to your cooperation! N-NET Media Converter has over 300 models of Managed and Unmanaged Media Converters to extend copper to fiber,Options in Multi-mode dual fiber, single mode dual fiber, single mode single fiber. Topology Type:fast ethernet(10/100M) ,gigabit(10/100/1000M),10G,Standalone 802.3ah Managed Media Converter,Chassis Managed Media Converter.Extend network distances up to 120km.N-NET is proud of the reliability of all our Media Converters. The high MTBF rates can be found on the Hardware Specs for each Perle Media Converter.